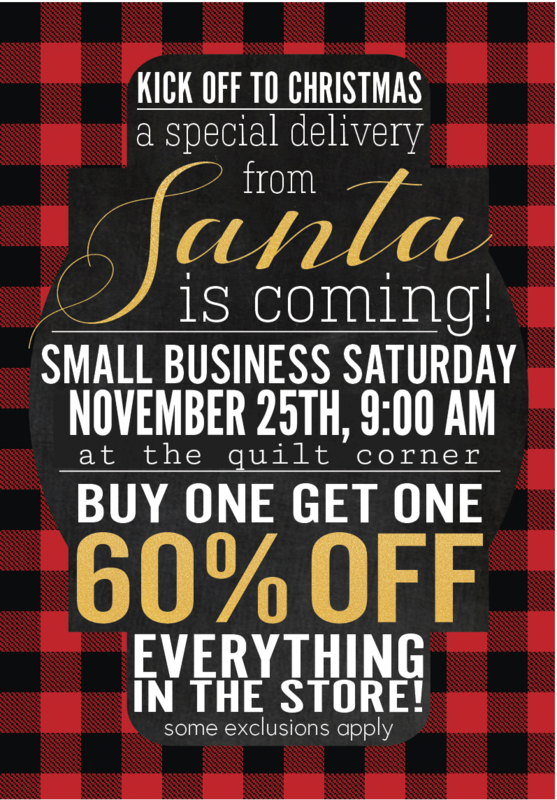 Aunt Mag's Adventures in Quilting: Black Friday Sale, Holiday Stitching and more! 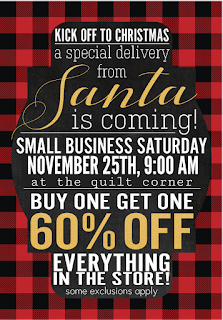 Black Friday Sale, Holiday Stitching and more! 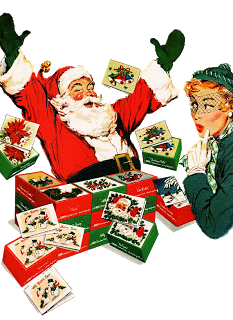 We are super excited about the holidays ... to kick things off check out our great sale! 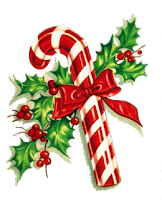 We have super specials posting on our Daily Deal ... like 40% off Wonder Clip 10 pks (great guild gift or stocking stuffer for a special sewer), 50% off select WideBacks ... 25% off the rest, but we're just getting started! Daily, we're adding specials ... and best of all, we'll let them run thru Cyber Monday, but these deals are limited to in-stock quantities! 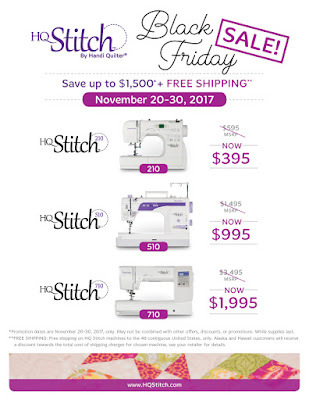 Take advantage of our Black Friday specials on all HQ Stitch machines and save up to $1,500! Come by to test drive your HQ Stitch machine today! Or order online ... shipping is included! * The fine print: excludes irons, sewing & quilting machines, silhouette machines. Sale limited to in stock merchandise only. For our local customers, this discount will be made at the register. For our online customers, we will adjust your order after it is completed, but before it is shipped.... Great way to Save $$! All promise to be . 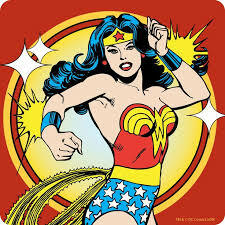 . .
a) Super Funb) Super Fastc) You'll feel like Super Woman because you'll FLY through these projects! We've picked some our favorites for this, so whether it's a last minute "handmade" gift, or just some serious therapy time ... including chocolate. -We know you'll pass a really good time with us! 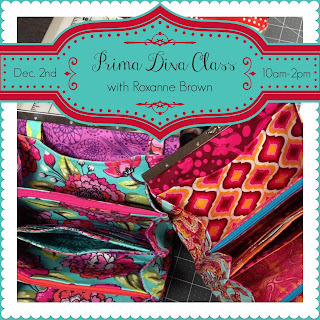 Be sure to go to our website for full class details! Open Wide ... our most popular "organizer" bag. This one got Aunt Mag a HANDWRITTEN thank you note ... from a 24 year old, better yet! Fabulous gift! Check this out for Saturday, December 3rd! The Diva Wallet or Clutch. Table for Four ... complete a set of four placemats. Your pattern will also include a tablerunner & reverse napkins. The placemats are made using the Quilt as You Go technique, so you'll literally leave with a finished gift ... or something lovely to set your own holiday table! Pop-Ups! We will be making the newest pop-up in the series, which makes a great gift bag ... or choose the make the classic Fat Quarter Pop-Up ... or maybe the Fat Quarter Pop-Up Pet Dish! Holiday Accents from a company all of you love ... Poorhouse Quilt Designs ... the maker of the Folded Wreath! Aren't these just sweet! 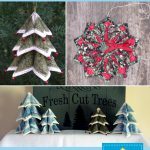 You can make a tree ornament, a wreath ornament, or some trees for decorating ... lovely to attach to a package for a super special keepsake! There you go ... our Holiday lineup! 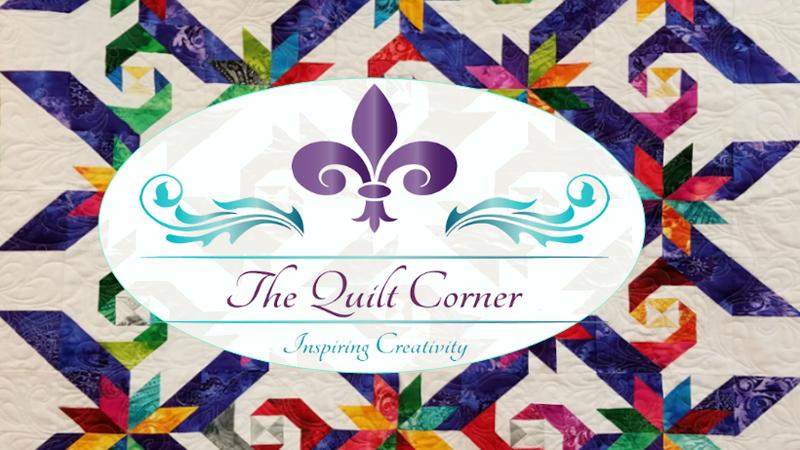 I'm sure there is something totally irresistible here ... and we look forward to seeing you at The Quilt Corner soon!